There are 4 Memory Care Facilities in the Kalamazoo area, with 1 in Kalamazoo and 3 nearby. The average cost of memory care in Kalamazoo is $5,110 per month. This is higher than the national median of $4,650. Cheaper nearby regions include Portage with an average starting cost of $4,497. To help you with your search, browse the 12 reviews below for memory care facilities in Kalamazoo. On average, consumers rate memory care in Kalamazoo 3.0 out of 5 stars. Better rated regions include Portage with an average rating of 3.5 out of 5 stars. Caring.com has helped thousands of families find high-quality senior care. To speak with one of our Family Advisors about memory care options and costs in Kalamazoo, call (855) 863-8283. Situated halfway between Detroit and Chicago, Kalamazoo is a Michigan city with around 75,000 residents. About 10 percent of them are past their 65th birthdays, which makes them part of the age group most likely to develop dementia. The Alzheimer's Association projects that across the state of Michigan,180,000 seniors had Alzheimer's disease in 2018 and that number is projected to grow by 22 percent by the year 2025. For families of seniors with dementia who need round the clock care, Kalamazoo has at least four memory care facilities available to help. The Michigan Department of Licensing and Regulatory Affairs may license memory care facilities in Kalamazoo as Homes for the Aged (HFAs) or Adult Foster Care (AFC). 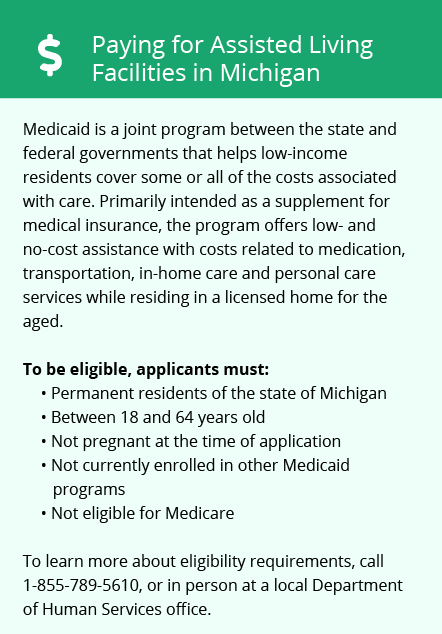 Unlike some states, Michigan does not have an additional set of rules that are specific to facilities serving seniors with dementia. Kalamazoo's overall cost of living is 16.9 cheaper than the national average, savings which may help families on a budget to better afford memory care services for their senior loved ones with dementia. In its 2018 study on air quality, the American Lung Association gave Kalamazoo County a flunking grade for ozone. At many memory care facilities, seniors have access to secure areas outside, which may put them in contact with polluted air. Unhealthy levels of ozone can irritate seniors' lungs and exacerbate pre-existing respiratory conditions. The Kalamazoo area is home to world-class medical facilities, including those specializing in brain health and dementia care such as the Bronson Neuroscience Center, in the event of medical emergencies or illness. The odds of becoming the victim of a crime in Kalamazoo are about one out of 18, placing it among the 100 most dangerous cities in the country. Families may want to ask what security measures prospective memory care facilities use to minimize crime on-site and keep residents safe. Memory Care costs in Kalamazoo start around $5,110 per month on average, while the nationwide average cost of memory care is $4,799 per month. It’s important to note that memory care rates in Kalamazoo and the surrounding suburbs can vary widely based on factors such as location, the level of care needed, apartment size and the types of amenities offered at each community. Kalamazoo and the surrounding area are home to numerous government agencies and non-profit organizations offering help for seniors searching for or currently residing in an assisted living community. These organizations can also provide assistance in a number of other eldercare services such as geriatric care management, elder law advice, estate planning, finding home care and health and wellness programs. To see a list of free memory care resources in Kalamazoo, please visit our Assisted Living in Michigan page. 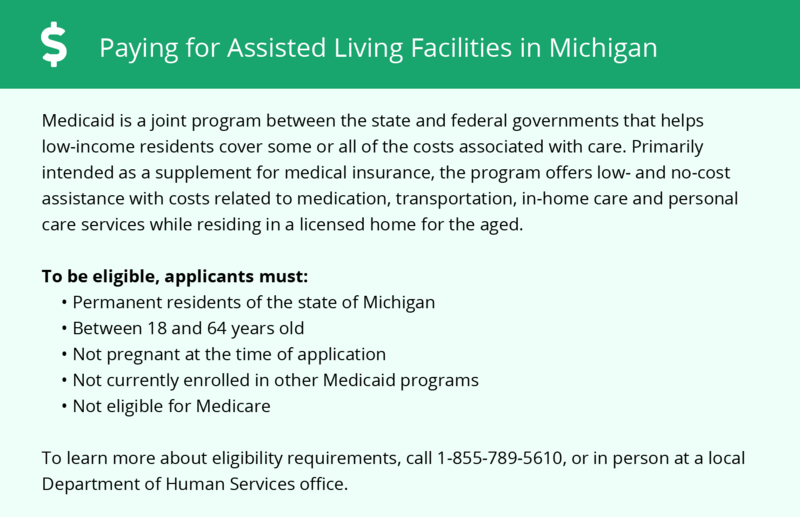 Kalamazoo-area assisted living communities must adhere to the comprehensive set of state laws and regulations that all assisted living communities in Michigan are required to follow. Visit our Memory Care in Michigan page for more information about these laws.